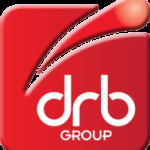 DRB Group is a trusted partner to the rail industry. Assembly line kited products for railway bogies; reducing customer waste and improving efficiency. Providing on-hand rail specialist to assist customers on-site in problematic situations. DRB Group can provide a solution to your rail dependent problems as well providing new innovative ideas to improve efficiencies. As well as assembly kits, we can also provide singular overhauled components, such as: Gear Casings, Torsion Bars, Brake Hanger Brackets, Bogie Machining, Shoe Arm Brackets, Brake Tension Pins, and many more! We also offer a full inspection service and work closely with of vast customer across the UK to develop, improve & implement refurbishment processes and procedures to increase efficiency and longevity of products. Our customer base includes: Bombardier, Wabtec Group, Stadler Rail and LUR Group.